If it's in the bathroom then we can handle it. We have all the tools and experience to efficiently detect, diagnose, repair and replace taps, toilets, basins, cabinets, showers and drains. Every vehicle is fully stocked with common parts which means we can usually complete the job straight away saving you time and money. The bathroom is a heavily used part of every home. Delaying repairs could result in further damage, or a major burst or blockage. Call on Mr Washer for any bathroom plumbing challenge you’re facing. Our qualified professional Sydney bathroom plumbers offer same-day on-time service, a written quotation and no mess left behind. Bathroom plumbing challenges including installation and maintenance of sinks, toilets and showers are our specialty. The team from Mr Washer has many years of experience in repairing noisy water hammers from bathroom plumbing and pipes. Bathroom renovations are headache-free when you rely on the specialist bathroom plumbers at Mr Washer. Call us for problem-free installation of your new bathroom fittings and well-organised low-fuss bathroom plumbing by experienced, well trained tradespeople. From taps to bathtubs (including spa baths) and all bathroom vanity units, the specialists at Mr Washer are your best bet for reliable bathroom plumbing installation. One of the most insidious bathroom plumbing problems is a leaking shower. You cant afford to let a leaking shower continue unattended as it is often the most water-intensive area in the home. The average family of four will use their shower more than 1400 times a year. Mr Washer bathroom plumbing services will locate the cause of your leaking shower, and come up with a permanent solution. 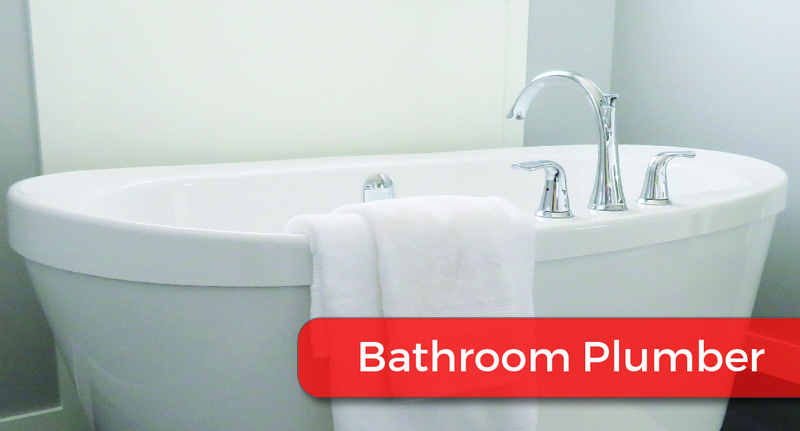 With an up-front quote from our experienced, qualified and highly trained tradespeople, you can trade your bathroom plumbing nightmares with a bathroom to dream about.